Bringing a new world to love old traditions is no easy journey. 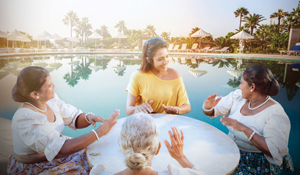 This year, HSBC plans to bring customers closer to their traditional roots with an Avurudu campaign that is purely centred on long-lived ‘traditions’ that have passed on through generations. HSBC notes that traditions associated with the Sinhalese and Tamil New Year are manifold, colourful and meaningful. Thus, the campaign hopes to not just bring customers amazing savings on everything they could want to celebrate this auspicious time but also to reconnect them to the many traditions that are followed during the Sinhalese and Tamil New Year.